In his State of the City address, Mayor de Blasio unveiled his goal of expanding access to healthcare for approximately 600,000 uninsured New Yorkers. NYC Care will expand the healthcare options of those who cannot or do not currently have access to health insurance. The implementation of NYC Care would provide low-cost services to its beneficiaries at one of over 70 NYC Health + Hospitals locations. Giving greater access to care to the uninsured benefits all of us. 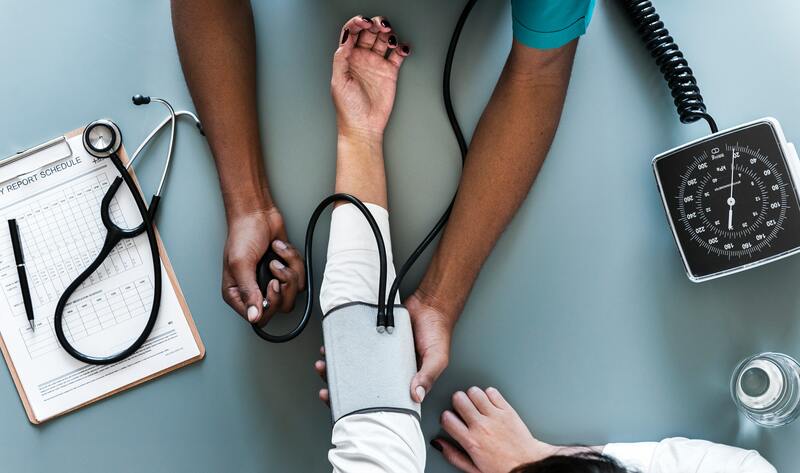 Preventive care is not only more cost-effective than dealing with the long-term consequences of chronic diseases and conditions, it contributes greater public health overall. Of those 600,000 uninsured New Yorkers who stand to benefit from this program, about half are undocumented immigrants. Their immigration status bars them from accessing federal health insurance programs such as Medicare, Medicaid, the Children’s Health Insurance Program (CHIP), and the subsidies available under the Affordable Care Act. In New York, undocumented pregnant women and undocumented children under 19 years of age are eligible for participation in select state-funded health insurance programs. With few options available, those who seek regular access to care must either pay for services out-of-pocket or purchase prohibitively expensive private insurance. Hospital Emergency Rooms: Federal law requires that all hospitals receiving federal funding care for patients in need of emergency care, regardless of immigration status or ability to pay. Because of this guarantee, many undocumented immigrants who are uninsured and cannot afford private insurance utilize emergency rooms as their primary source of care. Safety-net clinics: Safety-net institutions include public hospitals and clinics and nonprofit hospitals with emergency rooms. These institutions provide healthcare services to those, documented and undocumented, who lack health care insurance and overall care. Safety net clinics are frequently utilized by undocumented immigrants, as these providers do not check immigration status or one’s ability to pay. Uninsured patients are charged on a sliding scale determined by their ability to pay. While these clinics are vital to basic health care access for undocumented immigrants, the demand for services greatly exceeds their capacity and resources. Everyone stands to benefit from immigrant patients’ full participation in the healthcare system. It is detrimental to public health as a whole if immigrants do not disclose important aspects of their health, or do not access necessary health services for fear of deportation. Immigrations and Customs Enforcement (ICE) classifies healthcare centers as “sensitive locations,” meaning that agents are instructed to avoid detaining undocumented immigrants at these locations unless there are special circumstances for doing so. However, arrests of undocumented immigrants at these locations have been documented under the Trump administration. The fear of deportation has led many undocumented immigrants to avoid healthcare services altogether. Educating staff on what information they are allowed to withhold from immigration officials will allow them to focus on providing healthcare services, and assure immigrants that they can confide in staff and continue to safely access healthcare services. Undocumented immigrants may be under the impression that they are not eligible for certain insurance plans, or may not know about low-cost options at safety net clinics. Providers should consider holding a workshop or some other campaign after NYC Care is implemented to inform undocumented immigrants of their new healthcare options. For vulnerable populations such as undocumented immigrants, health care and social services must be linked in order for this group to live healthy lives. The stressors of immigration policy can be detrimental to the health of immigrant patients, particularly their mental health. One way healthcare professionals can be attentive to this is by connecting immigrant patients to other social services that can positively impact their health. Northwell Health, a premiere healthcare organization, provides medical professionals with additional advice on improving healthcare for immigrants. If immigrants don’t feel welcomed by hospitals and healthcare centers, they may be less willing to access them, even after NYC Care becomes available or their health condition requires it. Several key components of a welcoming environment include options for translation services, increasing diversity among medical professionals, and providing culturally competent medical care. To learn more about Capalino+Company’s Nonprofit Advisory services, contact Jeanne Mullgrav at jeanne@capalino.com.